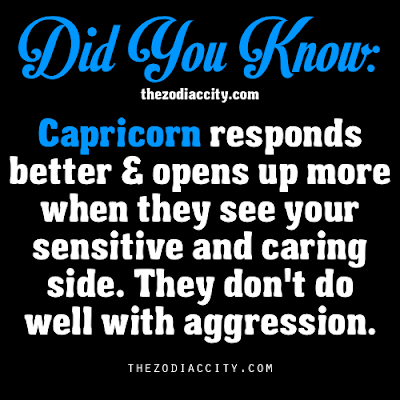 Did You Know: Capricorn | Capricorn Life - Capricorns Rock! CAPRICORN responds better and opens up more when they see your sensitive and caring side. They don't do well with aggression.